You must be a member of the Munich Human Relationships Group to attend this activity. Would you like to join this group? 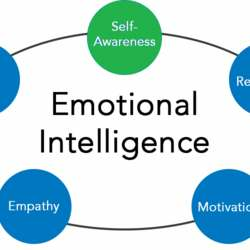 Emotional Intelligence refers to our ability to identify and manage our own emotions, as well as understanding and identifying the emotions of the others. In this seminar evening, the focus will be on SELF AWARENESS part of Emotional Intelligence. The seminar will include Concepts, Exercises, Group Interaction on topic of Self Awareness & Emotional Intelligence. Ashish is Professional Co-Active Coach from CTI, USA (Coach Training Institute) and accredited by ICF (International Coaching Federation). Ashish brings 5 years of Professional Coaching experience, besides 15 years of Consulting Experience to Personal Growth Seminars. 7:15 p.m : Doors open. Informal networking. 9: Protected content p.m.: More networking.